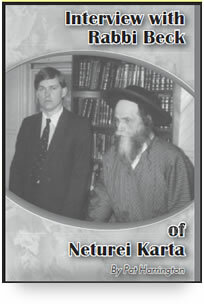 Neturei Karta now offers books, publications and DVDs for sale. 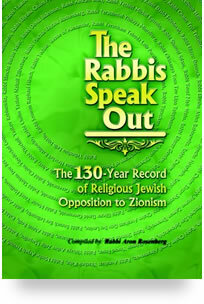 The 100 year record of religious Jewish opposition to Zionism. 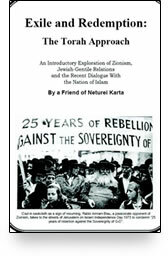 EXILE AND REDEMPTION: THE TORAH APPROACH by “A Friend of Neturei Karta” — (62 pages, illustrated, footnoted) This is a fundamental work which presents in detail the Torah approach to Zionism, explores the history and effect of the movement in history and suggests how the rejection of Zionism will yield many blessings for the Jewish people. 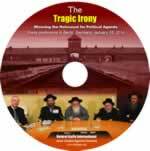 Included as well is a step by step overview of the recent dialogue between Orthodox Rabbis and the Minister Louis Farrakhan’s Nation of Islam. 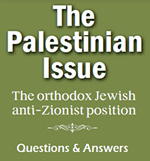 (41 pages) Rabbi Moshe Beck, a leading thinker of anti-Zionism is interviewed by Patrick Harrington of Third Way (England). 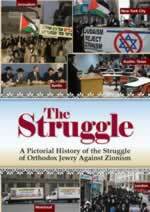 by Yakov M. Rabkin, 261 pages. 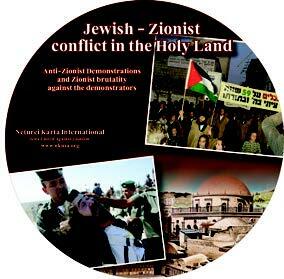 Anti-Zionist demonstrations and Zionist brutality agains the demonstrators. 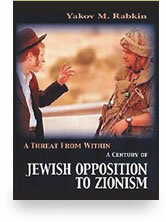 Can Jews & Arabs Live Together in Peace? 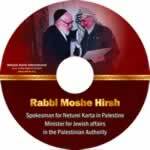 Spokesman for Neturei Karta in Palestine, Minister for Jewish affairs in the Palestinian Authority (short clips). 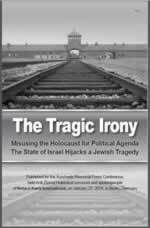 Over 100 events in more than 30 cities in 7 weeks. 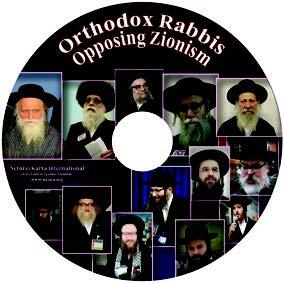 Tens of thousdands of Orthodox Jews protesting the State of Israel and the recent forced draft into the IDF, in New York City, June 2013.